Rancho San Joaquin homes are located in the coastal community of Irvine, California. The Rancho San Joaquin neighborhood is ideally located next to the 405 freeway near the University Town and University Park area. The area consists of residential condos and townhouses that can offer wonderful golf course and city light views. The two main communities found here are the Rancho San Joaquin townhomes and the Rancho San Joaquin Villas. Both of these communities were built in the mid 1970's and offer a variety of one to three bedroom units that can range up to 2,200 square feet of living space. All of the units found here are under a homeowners association with monthly dues required. Community pool, spa area can be found in the RSJ Townhomes neighborhood with water usage included in the monthly dues. Many love this area for it's easy freeway access and close proximity to the University of California, Irvine. 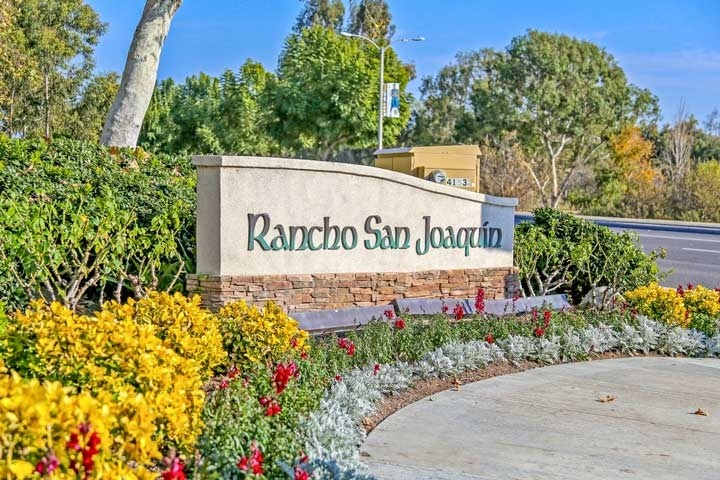 Below are the current homes for sale and for lease in the Rancho San Joaquin neighborhood. Please contact us at 888-990-7111 for more information on this community and any of the homes listed for sale here.